Content writing is an art of magical words, inspirational quotes, and techniques from which you establish your own world of imagination, thoughts, and motivation! More you have magical words in your mind, in your writing skills and in your perspectives, more you have followers, readers, and supporters of you. Readers will love to learn from you, your articles, you’re sharing thoughts, your perceptions, and content. But, how you produce these magical, inspirational and motivational words for your readers and bloggers? In this article, we will give you guidelines, tips for choosing your path towards success, tools to conquer your destination and most important “world” around you! Let me start my article by the sayings of most professional writer in-universe Neil Patel, gave guidelines to its readers and content writer about professional content writing, he concludes in his article, “It does not matter what type of content you produce, you can benefits from knowing the secrets of professional content writer”, how to get better your skills and your content from your experiences. The key to unlocking the door of content writing is “Research”. Have a look, down are some tips and tools for professional writing! Content writing demands professional writing skills, exposure of search engine, how to make content accurate, relevant and stick to the topic, below are some tips for professional content writing! Ideas have not fixed time to comes, they just came at any time, maybe during breakfast, lunch, driving or anywhere else. The first step towards your achievement is to write your idea at a safe place where you get it back at any time to research about and generate different ideas from! A content writer may know all the uniqueness and tactics to convert visitors into customers. Content writer must use friendly keywords for search engines and audience, what they are really wanted to write in Google or any other search engine. Writer recognize by his content, if content published in his article, blog or somewhere in the website in outdated or something which is not relevant and helping for visitors and readers, writer will lose his place from the list of readers also from Google, keen research on your relevant topic make content valuable and relevant, also concise your information (less words that explain more). Most of the articles or content writing move from their relevant topic and write irrelevant which cause of visitors move on, move from your topic mean content writer change their path on which they want to conquer the world but with the irrelevant material they will never do so. To make place in content marketing and get your desired place only could, by remember our goal and focus on it, until you remain on your content and get unique content for readers you make your place high and consistent, for unique content you have to edit your content, not just one time, unless you feel, you make your content gold for others. More you have a relevant and strong grip over your topic more effectively you able to share your thoughts; content writing must be used more than 2 search engines to verify the content use in his article or blog. Google: Google is an authenticated way to get research on the relevant topic, as Google gives more suggestions regarding your topic or material when you put keywords or phrases on it. Yahoo: Yahoo is an old but still authorized and effective way to get a wide range of information about our research topic. Reference: Reference search engine is highly recommended as it describes the history, where it comes and all the relevant study on the topic. Google+: It is free online storage of data and material what you find helping during research, generating ideas, making a note on the notepad is such an old way of scheduling. Evernote: It is an upgrading form of notepad, when you get an idea, you can easily write in down in Evernote which saves automatically in the cloud. Dropbox: Dropbox is free service where anyone can store up to 2 gigabytes of data; it can easily sync with a laptop, PC and Smartphone. 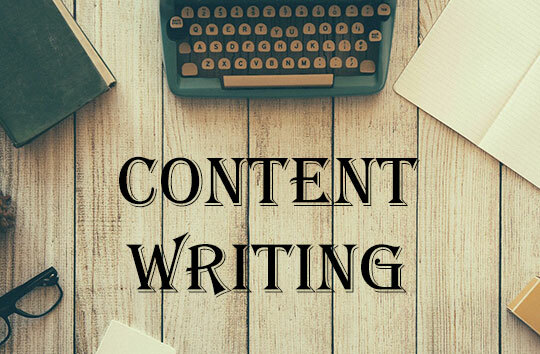 Content writing demands punctuation of words and grammars, if there are some sentences which are hard to read, the intensity of words use in the article is less or more, is there any repeated words, lines or phrases, these editing and writing tools will help them for generating better skills. Dictionary.com: Dictionary.com is old but still gold for find out the meaning of words. Hemingway: Hemingway is online text editor of content writers and bloggers which explain No. of words, sentences if there are any hard to read, the intensity of words and easy to edit text online. Images are more expressing than words, a content writer must have basic information about images, how to edit, resize and make an image to use in his article which inspires other. Some of the easy to use and effective tools of images editing are Greenshot, Infogr.am, and Easel.ly. Content writing is a broad field, once you come in you never get the way to comes out! You find only ways that help you to improve your writing skills. In this article, we provide you a solid way how you enhance your talent, content writing skills, how to play with words to convert your visitors into customers and so on. 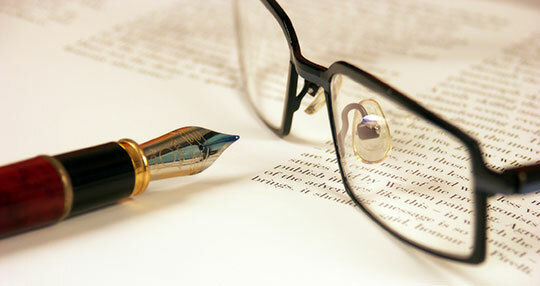 Content writer must have a solid and confident attitude in his writing skills to impress other. This article will provide you path, how to conquer the world by words with writing tips and tools. This article is written by Denise F. Swanson. She is a Professional Writer, Blogger, and SEO Social Media Expert. As a Writer, She specializes in several niches, especially in Technology, Lifestyle, and Internet Currently I’m working for Avatar Dialler. You can follow her on Twitter and Google+.